Last week, the FCC announced that it will begin regulating the Internet as a public utility in order to enforce rules for Net Neutrality. It was a real win for web surfers everywhere. Predictably, though, not everyone was happy with the ruling – it came from Washington, D.C., after all. And references to it all contain the scary conservative watchword “regulate.” Don’t fix what isn’t broken, the rationale goes. Obama just wants to take control of the Internet! Except, to quote a wise old lady on television, “that’s not how it works. That’s not how any of this works.” Net Neutrality is important to keep the cable companies from stomping all over streaming video – the next-generation technology they’re desperate to stop. 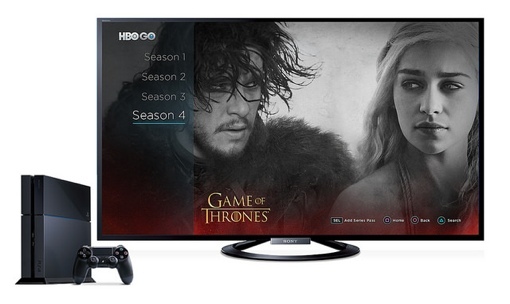 If you need proof, take a look at this: Earlier this week, Sony announced that the HBO Go app is now available on the PlayStation 4. Except for the fact that Comcast subscribers can’t use the app, because the ISP is blocking it. HBO Go doesn’t work on PlayStation 3 or the Amazon Fire streaming box, either. The problem affects Comcast customers, and only Comcast customers. Why is it happening? According to the company, “HBO Go availability on PS3 (and some other devices) are business decisions and deal with business terms that have not yet been agreed to between the parties.” In other words, HBO Go is intentionally being blocked for business reasons. Someone hasn’t written Comcast a very large check to make it available. And that’s exactly the kind of abuse that Net Neutrality is supposed to prevent. I have Comcast Internet but HBO is served by DirecTV. HBO works just fine on my PS4. People are confused how Comcast works in this regard. Comcast is an MSO (television service) and ISP (Internet service). When you go the HBO pairing site, Comcast isn’t an option as an MSO for PlayStation 4. That is, it’s not an option as a television provider. When you are pairing your PS4 with HBO it’s asking for your MSO credentials, not ISP. Most people use the same MSO and ISP, which is why there is confusion surrounding this. Yeah, that would look like a NN violation to the “untrained eye”, but it’s not—not on any level. When you are pairing this kind of application (HBO, Lifetime, etc) you are pairing the account with your MSO credentials to ensure you have access to the channel as part of your TV subscription. It has nothing to do with who supplies your Internet. In the case of HBO with PS3/PS4 and subscribers of Comcast television service, Comcast has simply chosen not to give HBO access to their MSO protocol so HBO can authenticate Comcast TV subscribers. I’m going to say it has something to do with Comcast being an MSO and HBOGo being a conflict of interest of sorts. They did the same thing with Roku at one point. Net Neutrality doesn’t protect this, so if you’re a champion of NN and you keep bringing this up, quit using it as a scape goat—it’s wrong. You’re a complete idiot if you’re a journalist for a mainstream media company reporting on this and screaming “net neutrality violation”. That’s a blatant lie and it behooves you to get more educated on the matter.